Get. Got? GO! is a funky fresh brew of goodness! 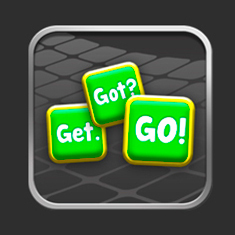 Designed from the ground up, it has all the elements of a great game with a fun, new approach to forming words. Form words with your friends or a random opponent.